VTV.vn - The California-based Vietnamese zitherist Vo Van Anh, whose stage name is Vanessa Vo, is set to perform in Ho Chi Minh City on January 16 evening. Anh will play along with Blood Moon Orchestra, a musical performance project of recording artist, and collaborative partners. The artists will bring a blend of traditional and contemporary music to the concert. 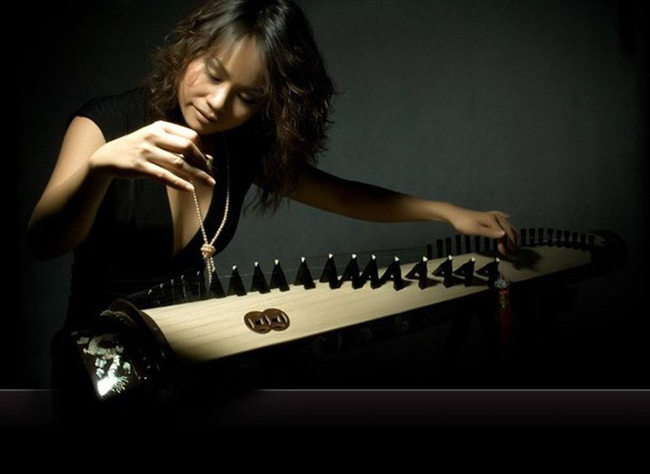 Anh began studying dan tranh (16-chord zither) when she was four years old, graduating with distinction from the Vietnam National Academy of Music. In 1995, she won the National Dan Tranh Competition along with an award for a solo performance of modern folk music. She co-composed and recorded the 2009 Emmy Award-winning soundtrack for the documentary Bolinao 52, a production about Vietnamese boat people by Vietnamese-American director Duc Nguyen. She also wrote music for the 2003 Academy Awards nominee Daughter from Danang, a documentary about the life of Mai Thi Hiep, one of the children brought to the US from Vietnam in 1975 during Operation Babylift.